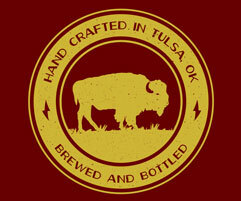 Located just outside downtown Tulsa, OK the Tap Room at Marshall Brewing Co. pours the freshest beer in town. 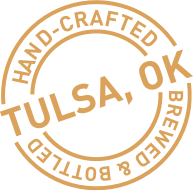 With 24 Taps, plus a selection of Wine, Cider, and Non-Alcoholic Beverages, there is something for everyone at the Tap Room! With the recent changes to Liquor Laws, our Tap Room is now able to be family friendly! Visit our new and expanded space, just adjacent to the production facility, which opened to the public on September 21st, 2018. We sell Growlers (64 oz) & Growlettes (32 oz) that you can have filled fresh off the tap with any of our releases to take home, as well as 6 pack bottles, 22oz bombers, and 32oz Crowlers! An outdoor biergarten, expected to open May 2019, will add additional seating, an outdoor stage, and more! 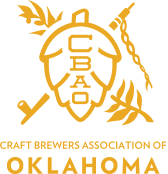 Stay tuned for announcements on our social media pages. 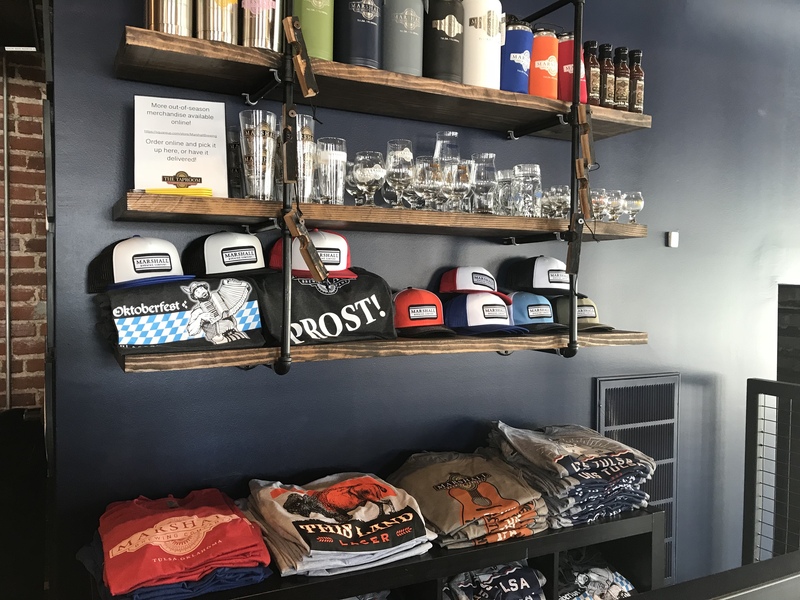 Our Tap Room offers a full range of merchandise, in addition to beer! Can't visit us in person? Check out our Online Store!